Four-way stretch technology, durability and mould functionality. Born from yoga, Phat Buddha creates pieces that tie fashion and function perfectly, utilising organic materials with seamless fabrications, boasting a four-way stretch technology to mould to your body as you move for the ultimate workout. We love our luxury athleisure wear, so we knew that Phat Buddha was a perfect fit for Acenla, talking about fit… their pieces are a one size fits all which is so much easier, giving you extra stretchiness and undeniably high fashion at the same time. All items are so wearable with a cosmopolitan approach to activewear. Girl Boss, born and raised in New York “Alissa Benishai” graduated Stern University at just nineteen. She then landed her first career in real estate, and with much success and achievements in high stake deals decided that she wanted to take a different approach to her life. 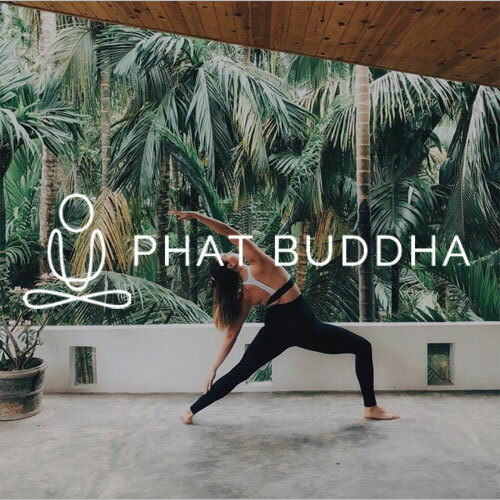 She left for a three month intensive Bikram yoga trip, it was here that Alissa returned to New York with a new found peace and passion for creating and this was where Phat Buddha was born.